The Ayrshire Cattle Society of Great Britain and Ireland are delighted to announce the judge as Lisa Window-Walker for the Ayrshire National Show which is returning to UK Dairy Day for 2018. Lisa, from Bromsgrove in the West Midlands has been a partner and owner of the World renowned Hunnington Ayrshire herd for the last 30 years along with her late father Chris Window. Lisa is assisted by the next generation of Windows, her nephew, Chris Window junior. The Hunnington Prefix needs no introduction and has been successful at both local and national levels for many years. 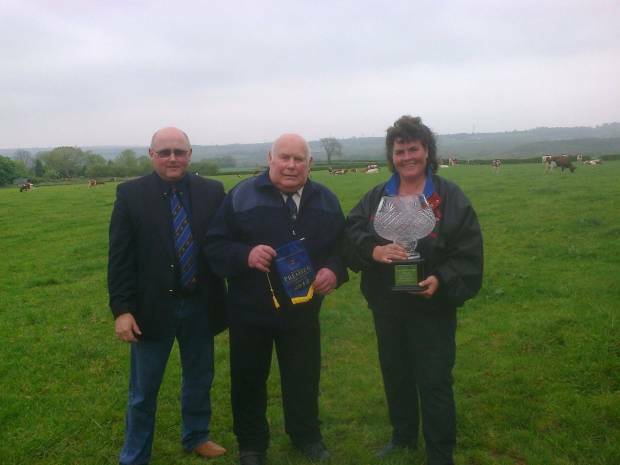 Highlights in the show ring over the years have been Interbreed Champion at the Royal Welsh, Dairy Event, South West Dairy Show, Welsh Dairy Show and Breed Champion at the Royal show. The Window family have always welcomed visitors from home and abroad to view their wonderful herd and many of the Hunnington bloodlines can be seen in herds all over the UK. Hunnington bulls have been used extensively and successfully worldwide, with Hunnington Admiral, Hunnington Mandella and more recently Hunnington Famous dominating global markets. Lisa has been on the Ayrshire judge’s panel for 25 years and has judged throughout the UK and Ireland. Some of her highlights include the Royal Highland, Agriscot, Royal Yorkshire, Royal Norfolk, Royal Cornwall and Balmoral. Internationally Lisa has judged at the Sydney Royal in Australia, the New Zealand Dairy Event, and the Finland National Show. Lisa considers the appointment to be a great honour and is thoroughly looking forward to judging the National Ayrshire show at UK Dairy Day in September. UK Ayrshire’s Breed Manager, Duncan Hunter commented “We are thrilled that Lisa has accepted our invitation to officiate at the 2018 National Ayrshire Show in September this year. The Show is a highlight for many of our members where they get together to promote the Ayrshire breed to the industry, exhibiting the very best of UK Ayrshires to the home countries and internationally. We wish Lisa all the best in her role as National Ayrshire Show Judge for 2018”.